I had a discussion the other night with a few of the leaders at a Sydney-based science camp about which M&Ms are least natural, in the sense of containing most dyes. 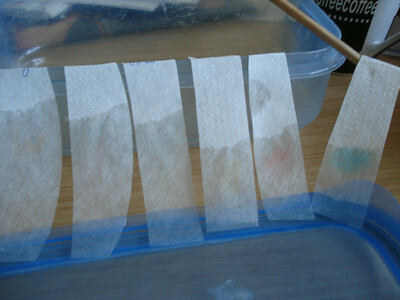 We did an impromptu chromatography then and there in the restaurant, using napkins, but of course that wouldn't be conclusive evidence, since we only did it with two colours. Thus, here, I present to you a complete analysis. 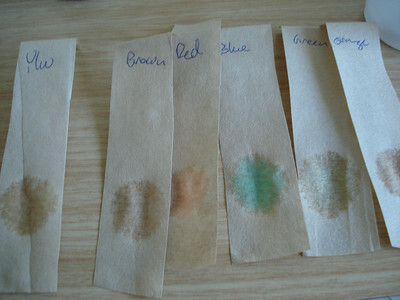 I have performed the chromatography on all six colorus, and we really do see that brown is the only composite colour. 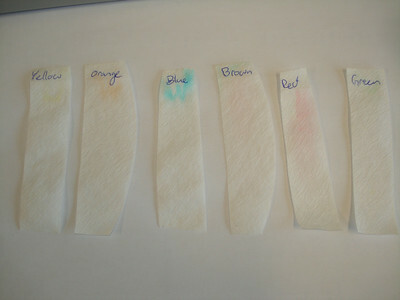 All the rest are pure dyes. 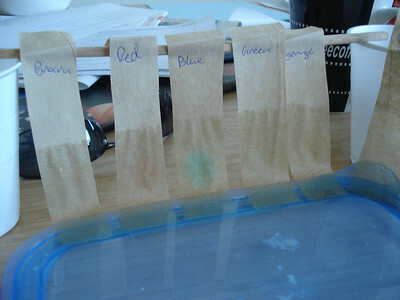 Notice that the brown one really does decompose into two dyes, whereas all the other colours are pure splotches. I used peanut M&Ms this time. Basically because I like the taste better. 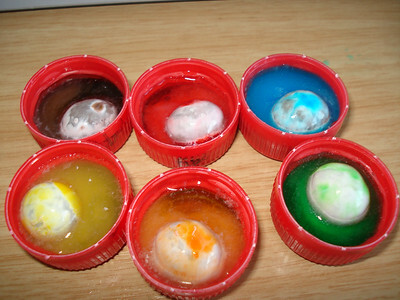 Next, try with Smarties!! !